I saw a YouTube video by Lyssa Zwolanek that used a full sheet of designer paper to make a cute bag, all with no waste. 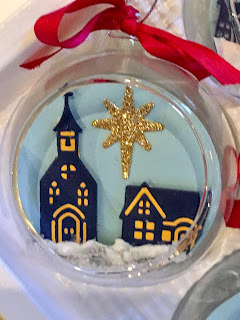 I figured that it's possible that I could make these bags in other sizes. I made her bag to display on my video (the large bag in the back corner), but made other bag sizes as well. So, here are the designer paper sizes and the score lines, then follow the video to put them together. 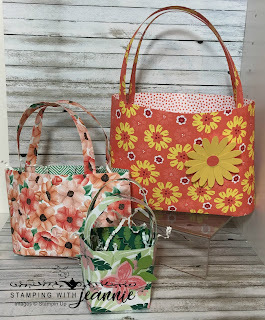 To make the large Calypso Coral bag in the back using the Happiness Blooms DSP, follow these steps. Cut off (2) 1" strips from 1 end. Score these strips in half lengthwise to make your handles. Score in half, at 6" on the 12" side of the remaining large piece of DSP, then score either side at 5" and 7". Cut in 3" on the 5" and 7" score line and adhere inwards to form your reinforced bottom. To make the small bag in front using the Tropical Escape DSP from the Annual Catalog, follow these steps. Score in half, at 3" on the 6" side of the remaining large piece of DSP, then score either side at 3 1/2" and 4 1/2"
Cut in 3" on the 3 1/2" and 4 1/2" score line and adhere inwards to form your reinforced bottom. With tear 'n tape, adhere each side to form your bag. 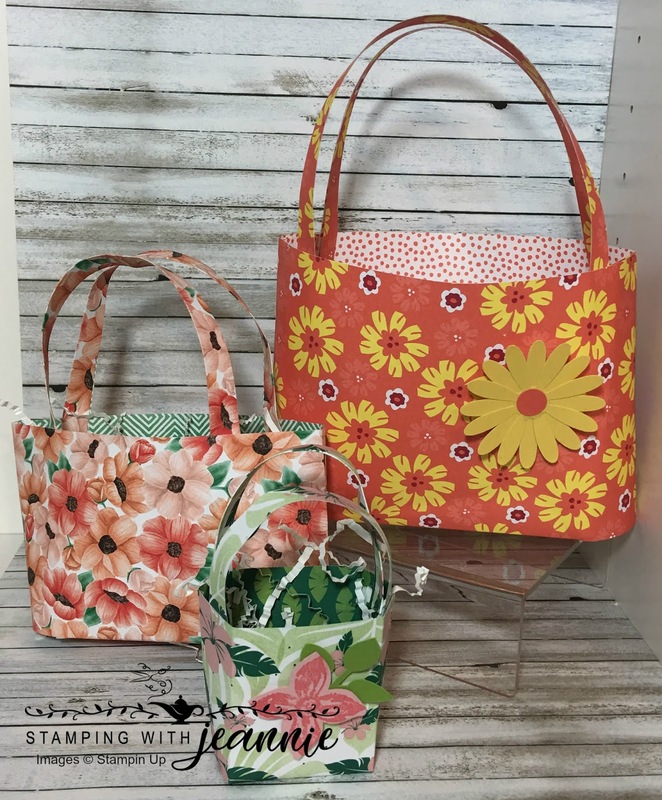 Finally, to make the floral bag in back left that uses the Painted Seasons DSP from Sale-a-bration (that ends on March 31st, by the way! ), follow these steps. *This was the bag I made in my video. Score in half, at 4 1/2" on the 9" side of the remaining large piece of DSP, then score either side at 3 1/2" and 5 1/2"
Cut in 3" on the 3 1/2" and 5 1/2" score line and adhere inwards to form your reinforced bottom. Unfortunately I am having trouble uploading the video right now, but I will save it to YouTube tomorrow and try again!! I'm sorry! 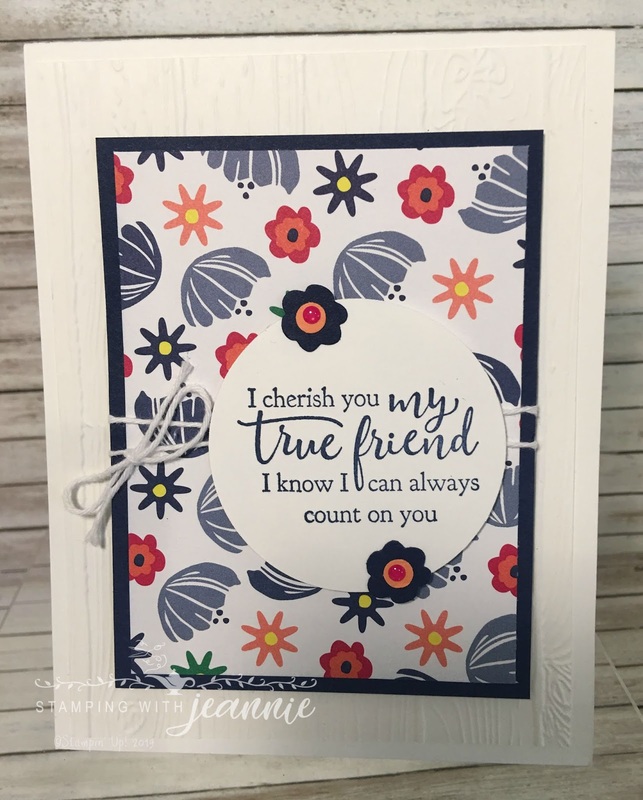 Today I did a FB live, making this lovely card. I'm afraid the LIVE didn't go as smoothly as when I practiced earlier in the day. 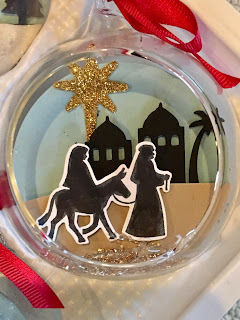 I was a bit scattered, so I thought I'd share the card and directions here for this particular card. The card base is Calypso Coral, 8 1/2" x 5 1/2", scored at 4 1/4". 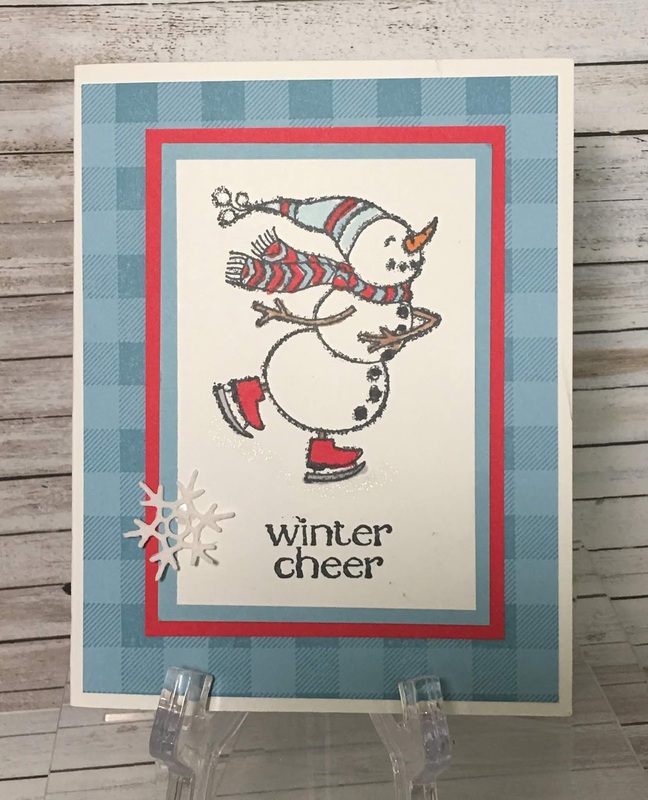 Attach the 3 3/4" x 5" chosen designer paper to a piece of 4" x 5 1/4" Whisper White cardstock (c/s). Tie a bow from a length of Call Me Clover ribbon around these 2 layers, then attach to the card base. 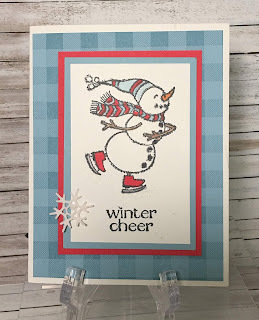 Next, cut a Whisper White piece of 3 1/4" x 4 1/4" c/s. Cut a 2nd piece of the same designer paper pattern at 3" x 4". Attach to the card base and layers, popping up with dimensionals. I chose this measurement so you could get several pieces from 1 sheet of paper. 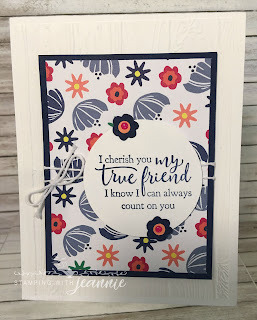 Using your Big Shot, cut a Calypso Coral scalloped circle -- the size is just larger than the Whisper White c/s circle that is stamped with the sentiment (I used Calypso Coral ink) and punched out with a 2 1/4" round punch. 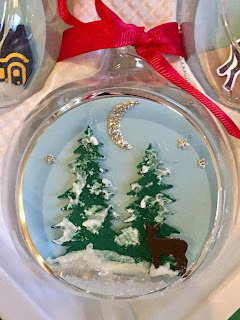 I popped these circle layers up with dimensionals again. 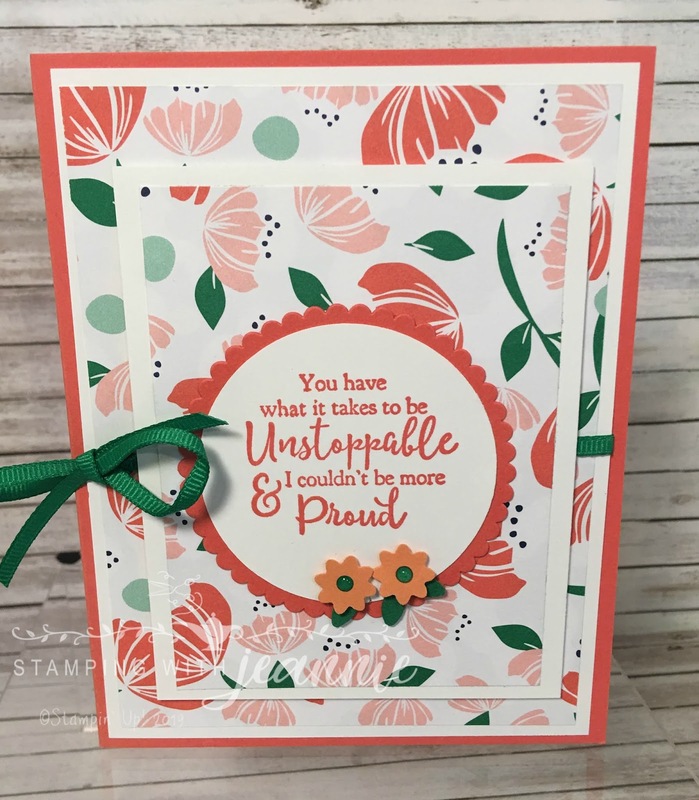 Now, punch out 2 small flowers using one of the flower punches from the Bitty Blooms punch pack and Grapefruit Grove c/s. The leaves are punched from Call Me Clover c/s scrap. I used mini dimensionals to hold the leaves in place under the flowers and attached them to the bottom of the circle. The final touch is the Happiness Blooms enamel dots - I used the Call Me Clover ones as I thought the coral/grapefruit color would get lost in the flower. 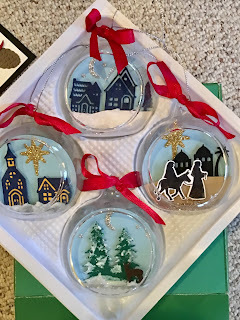 Use a Take Your Pick tool to place these dots -- I couldn't find the attachment I needed to place them, which made my video even funnier! 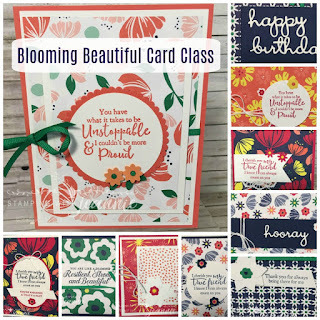 This card plus 9 other cards using the stamp set, Strong and Beautiful, the Happiness Blooms designer paper, and matching colors, are all part of a class I'm offering on Saturday, March 9th. Although it's too late to get into the product-based class, I do have some pre-cut card kits available. 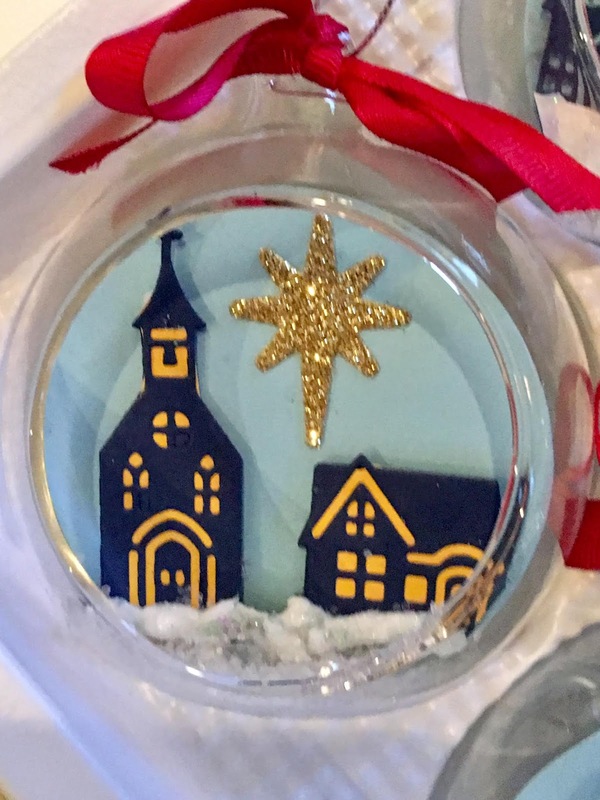 The cost is $30, plus shipping if you don't live locally (I'm estimating $7-8 for shipping). Contact me at stampwithjeannie@gmail.com and I'll send you a PayPal Invoice. 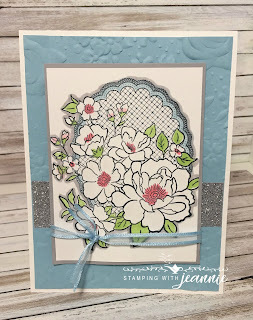 I'm sharing another card tomorrow -- unfortunately my phone battery died before I could make the 2nd card this morning. 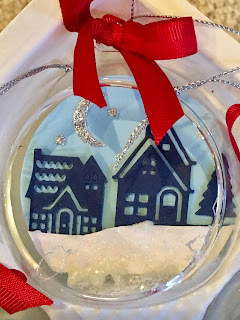 For a truly entertaining time, check out my FB live on my FB page, Jeanne Nielsen, the Card Lady (like my page), or join my group for a replay of this video plus other cards I'm making at Papercrafting with Jeannie. The supply list is below! Thanks for checking me out today! 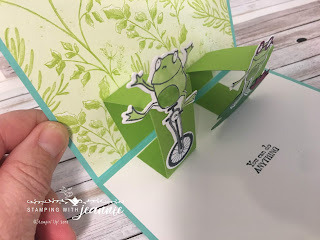 I had so much fun making this adorable pop-up card using the SAB set, So Hoppy Together. Did you know that starting today, March 1st, you can get framelits that match many of the Sale-a-bration sets? It's true! To be honest, I'd been getting tired of cutting these poor frogs by hand, so they were getting a bit neglected. 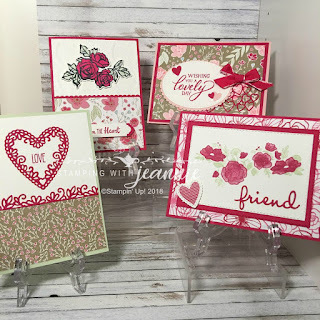 Then, I had a chance to preorder these framelits and my stamping life changed! 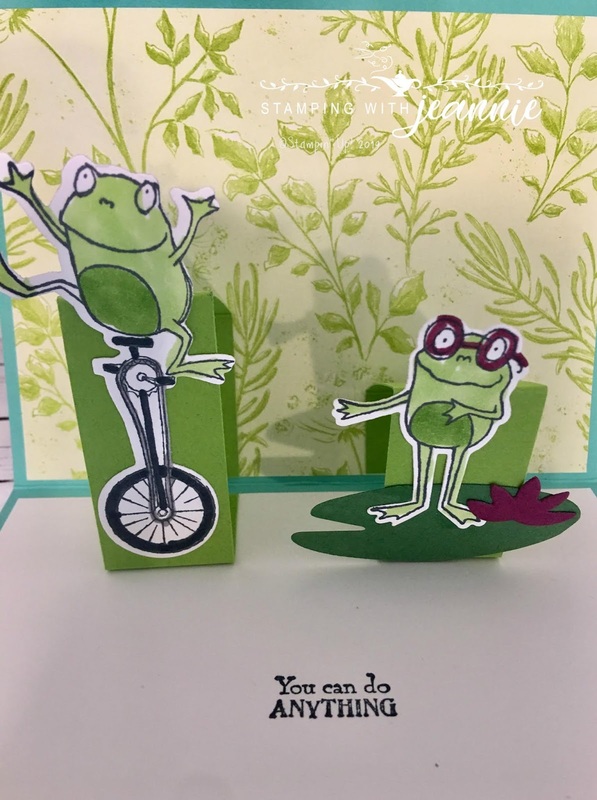 I did a FB live the other day, featuring this card, and realized that the frogs all resembled the chipmunks: Alvin, Theodore and ... who was the third one?! Oh yes, Simon! Of course Alvin is riding the unicycle and Theodore is looking all studious with his hip glasses! 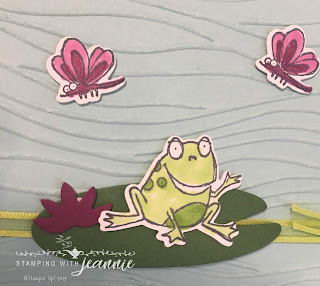 That leaves Simon to be sitting on the lily pad, talking to his dragonfly friends! Inside, I cut a Whisper White insert for the bottom of the card, and another piece of the SAB Botanical Butterfly designer paper. Note that I cut two 1" width pieces of cardstock in 2 lengths (I give measurements below), which are scored in 3 different places. The ONLY 2 important things to remember are that they can't stick out above the folded card if you want them to fit in the envelope, AND, the middle score lines for the tabs should be exactly 1/2 the length of the cardstock(c/s) total length. 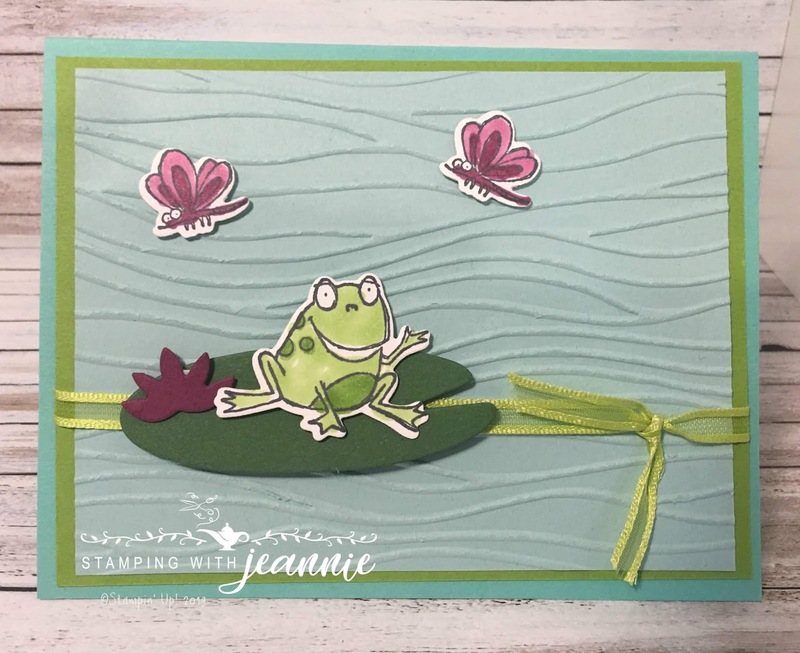 I colored all of my frogs with Stampin' Blends -- the frogs are Light Granny Apple Green, with the Dark marker used to color the spots and the bellies of the frogs. The dragonflies are colored with the Light and Dark Rich Razzleberry Blends. Oh yes, and one more thing about the inside lily pad -- I cut it out first full-size from a Garden Green c/s scrap, but then reinserted into the framelit to make it approximately 2/3 the size. Card Base: Coastal Cabana c/s, 5 1/2" x 8 1/2", scored at 4 1/4"
Layer 1: Granny Apple Green cs/, 5 1/4" x 4"
Granny Apple Green c/s: 1" x 6 1/2", scored at 1", 3 1/4" (note the exact middle! 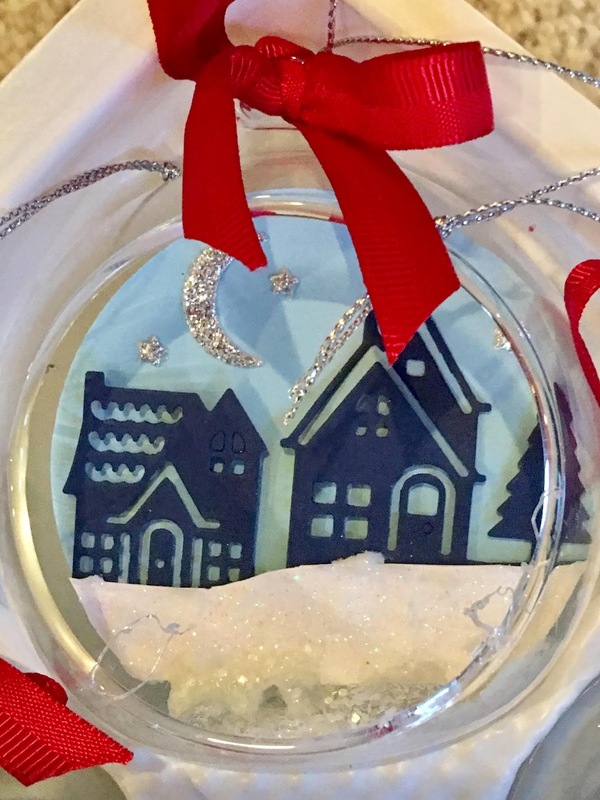 ), 5"; 1" x 5 1/2", scored at 1", 2 3/4", 4 3/4"
Sale-a-bration ribbon around these layers, then attach to the card base. Attach your lily pad, water lily, sitting frog ("Simon") and dragon flies to the front, popping up with dimensionals. Fold the tabs on the score lines. Attach the top and bottom of each of the tabs to the inside of the card (line up with the end of the cardstock/designer paper layers -- don't glue to the exact middle fold of the card because it will be too bulky to close). 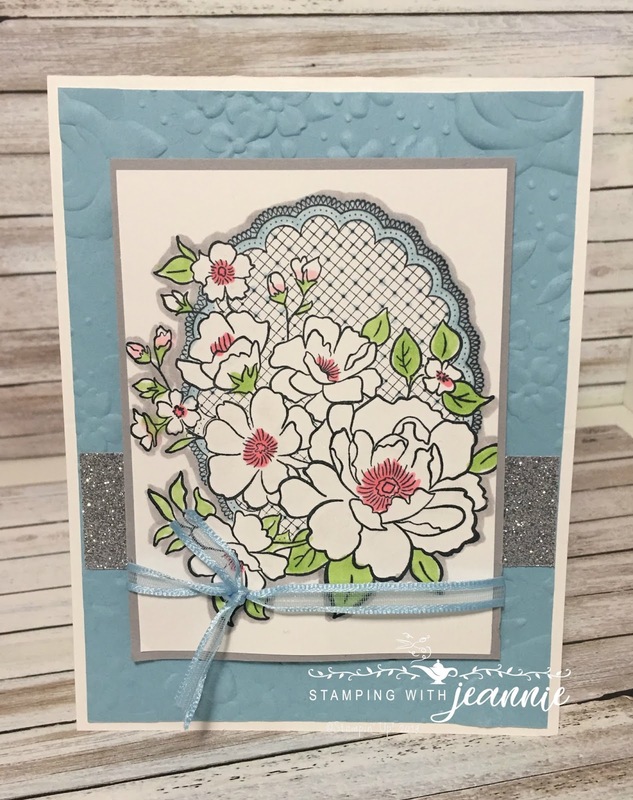 You can decide if you want the shorter or longer part of the tab to be attached to the top or bottom -- if you attach the longer part to the bottom/front, your tab will stand up taller, whereas if you attach the tab to the back or top of the card, the tabs will lean back a bit. Attach your lily pad and water lily to the front of one of the tabs (I chose the shorter tab for this as I put "Theodore" in front of this tab), then attach the cut-out frogs. 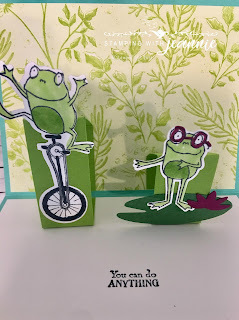 I cut out all of my frogs with the matching framelits, and you probably will want to do this too! Alternatively, cut them out by hand, and maybe use the lily pad from Lily Pad Lake for your inside and outside accent!